IN offering the American public a carefully studied outline of its national park system, I have two principal objects. The one is to describe and differentiate the national parks in a manner which will enable the reader to appreciate their importance, scope, meaning, beauty, manifold uses and enormous value to individual and nation. 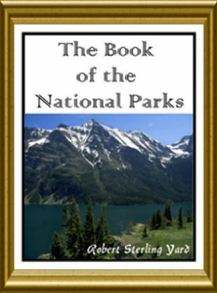 The other is to use these parks, in which Nature is writing in large plain lines the story of America's making, as examples illustrating the several kinds of scenery, and what each kind means in terms of world building; in other words, to translate the practical findings of science into unscientific phrase for the reader's increased profit and pleasure, not only in his national parks but in all other scenic places great and small. This PDF ebook detailing the beauty of America is just $1.00!